On behalf of the Board and staff of Key Ministry, I’m delighted to invite you to join us and Christ followers from across the U.S. and beyond to Inclusion Fusion Live 2019, our annual disability ministry conference. This year’s conference is scheduled for April 5th and 6th, 2019 at Bay Presbyterian Church in Bay Village, OH. We anticipate that IFL 2019 will be among the largest, if not the largest disability ministry training in the U.S. during the coming year. We have a fabulous lineup of speakers and events in store, and our intent for this year’s conference is for attendees to leave with everything they need to start a new disability ministry, grow an existing ministry, or more effectively serve the children, adults and families who are already part of an established ministry. I was in a meeting last week with Catherine Boyle (our mental health ministry director) planning for the year ahead when she talked about the importance of “amplifying small voices.” I found that expression to be a wonderful metaphor for a value that shapes our ministry, and a great way to draw attention to one of the aims of the conference. Two of our ministry’s operating principles are that we are intentionally collaborative with other like-minded leaders and organizations and that we seek to create platforms to advance the cause of disability ministry and to share them with others. Every year we seek speakers with great ideas for ministering with families touched by disability who may not be regulars on the conference circuit or have access to large social media platforms for promoting their work. Those with the smallest voices often have the most important things to say. We’re very excited to introduce many new, powerful voices this coming April in Cleveland. Headlining our lineup is our 2019 keynote speaker, Janet Parshall. Her daily talk show, In the Market with Janet Parshall is broadcast on the Moody Radio network on over 700 radio stations nationwide. She challenges listeners to examine major news stories and issues being debated in the marketplace of ideas and speaks to them with the Word of God. In 2008 and 2011, she was awarded the National Religious Broadcasters On-Air Personality of the Year. Throughout her career, Janet has been a devoted advocate of the principles and policies that strengthen the family. In February 2005, she was selected by President George W. Bush to represent the White House as public delegate to the United Nations Commission on the Status of Women. She speaks nationwide on public policy issues that impact family preservation and promotion, and has been a vocal advocate in the Christian community for the support needs of families affected by disability. As a radio and television commentator, author and advocate for the family, Janet has appeared on numerous national television and radio programs, including Crossfire, Hardball, Nightline, Larry King Live, Donahue, The 700 Club, Hannity & Colmes and NewsNight with Aaron Brown, and has also appeared on various other programs on CBS, NBC, ABC, CNN, MSNBC, CNBC, CBN, PBS, the BBC and NPR. She has also been featured in People magazine. In addition to the featured presentation, we have 36 workshops in eight sessions over two days organized in ministry-focused and family-focused tracks providing detailed instruction on a broad range of topics covering practical issues related to disability inclusion at church and sessions to provide encouragement and support to parents and caregivers of children and adults with disabilities. Starting a Special Needs Ministry in Any Size Church – presented by Stephen “Doc Hunsley of the SOAR Special Needs Ministry of Grace Church in Kansas City and our own Beth Golik of Bay Presbyterian Church. Has God called you or your church to start a Special Needs Ministry, but you don’t know where to begin? Whether you are a small church or a large one, this intensive will answer the questions of how, what, and why. You will learn the steps to take from learning the theology of Disability Ministry to how to get senior leadership on board. You will fill your toolbox with how to deal with different types of behaviors, how to recruit and train volunteers, understand the different classroom environments as well as curriculum options available, engaging and partnering with church staff and community organizations, how to help your ministry to become outward focused, and helping your church become an inclusive place for those with special needs. You will receive all the information you need and more! After this intensive, you will realize that YOU can do special needs ministry at your church! Buddy Break Leadership Training – presented by Marie Kuck of Nathaniel’s Hope. Buddy Break is a free respite program created by Nathaniel’s Hope where kids with special needs and their siblings have fun and establish meaningful friendships with other kids and adults while parents and caregivers get a much needed break from their responsibilities. Buddy Break represents the largest church-based respite network in the U.S., serving families in over 100 locations across 26 states and Puerto Rico. Participants in this intensive will receive the necessary training required for their church to participate in the Buddy Break respite network and will receive a credit toward the purchase of the Buddy Break Start-Up kit. Developing a Mental Health Inclusion Ministry Strategy – presented by our own Stephen Grcevich MD and Catherine Boyle of Key Ministry and Brad Hoefs of Fresh Hope. One in five children and adults in the U.S. experience a significant mental health condition at any given time. Few churches have any plan for welcoming and including families affected by mental illness. 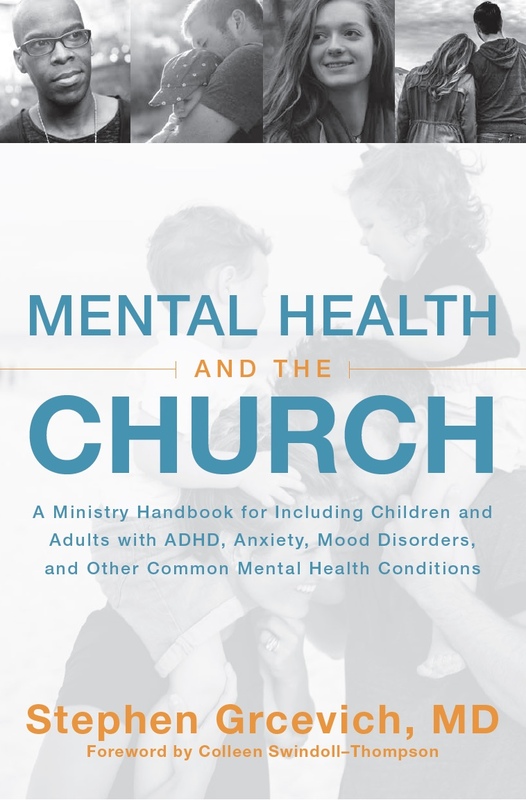 In this intensive, attendees will be given all of the necessary tools and resources for formulating a church-wide mental health inclusion strategy. We will identify barriers to church participation for children and adults with common mental health conditions and introduce an array of interventions for including them in the full range of ministry activities most critical for spiritual growth. Everyone who registers for this intensive will be provided a copy of Dr. Grcevich’s book, Mental Health and the Church and is encouraged to review the key ideas in advance of the conference. Here’s how you can plan to join us! The All Access ticket includes entrance to all Main Stage presentations and your choice of any workshop presented during the conference. We recommend this option for pastors, church staff members or volunteers. This ticket doesn’t include Ministry Intensives (separate ticket required at a cost of $69) or boxed lunch options (available to purchase during the registration process). We’re offering “Early Bird” pricing: $49 for All Access tickets by December 31; $59 by January 31; $69 by February 28; $79 by March 31; $89 after March 31. The Family Track ticket is available for a reduced cost of $19 ($29 after March 31st) and includes entrance to all Main Stage presentations and Family-Focused workshops on Friday evening (April 5) and all day on Saturday (April 6). We recommend this option for parents, family members and caregivers of persons with disabilities who aren’t necessarily interested in starting or growing an inclusion ministry in their church. As with the All Access ticket, boxed lunch options for Saturday are available at the time of registration. For those of you who are unable to join us in person in Northeast Ohio for the conference, we will be offering a free livestream through our ministry’s Facebook page of the main sessions on Friday evening and Saturday morning, including all of our featured speakers and all talks and interviews presented on the conference’s main stage following the main sessions later on Friday evening and throughout the day on Saturday. 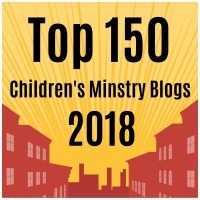 This entry was posted in Inclusion Fusion, Key Ministry, Training Events and tagged amplifying small voices, Buddy Break, Disability Ministry, Inclusion Fusion Live 2019, Janet Parshall, Key Ministry, mental health and the church, mental health ministry, ministry conferences, Respite Ministry, Special Needs Ministry. Bookmark the permalink.